The largest show in the Midwest featuring antique and contemporary furniture and accessories from the American Arts & Crafts Movement – You’ll find furniture, metalwork, pottery, textiles, art and lighting; everything from Stickley, Limbert, Roycroft, Rookwood and the esteemed Minneapolis Handicraft Guild. High quality reproductions will be for sale as well. Many of the nation’s leading dealers will be on hand to answer questions and advise on how to decorate your home. 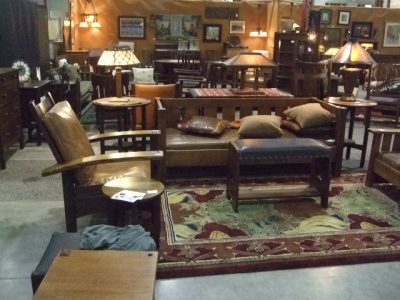 Dealers are also encouraged to now bring other items from other 20th Century movements including Art Moderne, Art Deco and Mid Century.